We will be offering two children’s choirs during the 2018-19 school year. 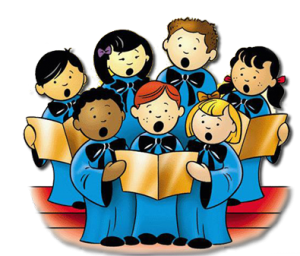 Our Cherub Choir is for grades 1 -2 and our Children’s Choir is for grades 3-6. The choirs will sing at selected Masses during the school year. Each choir will be limited to 25 children. A required parent information meetings will take place on Wednesday, August 22 in the Music Room (Church Basement) for each choir at their rehearsal time – 2:30 pm for the Cherub Choir and 3:45 pm for Children’s Choir. At that time, we will distribute the rehearsal and performance schedules for the year. Register by submitting the form below. Questions? Send our Director, Mrs. Desiree Stokes an email here or call her at 404-867-2126. We understand that, by joining the Children's Choir, our family is making a commitment for our child to attend rehearsals and the Masses at which they perform. * I AgreeI have some questions, please contact me.